I started my day at the nail salon this morning. We had a busy morning but it dies down a little so I wandered off to Topaz. It’s nice and quiet in here. We have a few shoppers in here but they’re self sufficient so I thought I take this oppotunity to share with you a few of my thoughts. It has been bothering me for a while now but I think I’m finally ready to face the music. As a business owner, I always stride to succeed by providing the best products and services to each and every single clients. However, as a human being, I am not perfect. There are times when we get really busy and the minor details somehow got lost and forgotten, and the level of service is not always at its best. Having just said that, I want each of you bloggers out there to know that I always stand behind my services. To finish my thoughts….I’d like for all of you to know that if there are ever any instance when you’re not happy with the services; please bring it to my attention. If I’m not there, please call me. I always look for ways to provide the best and upmost services. I’m a strong believer in “continuous improvements”. Can’t believe it has been almost a week since I last update the blog. I’ve been super busy trying to get Topaz open! I was sweating bullets. Finally Inspection didn’t happen until 2:00 p.m on Thursday. I was scared!!!! It finally open yesterday at noon. The respond from all of you was Awesome!….. Thank you so much to all of you for your support. Until the first of August, Topaz will be opened from noon to 7 for training purposes…so if any of you feel like shopping come on by to meet Bri, and Des, from Kent. I’ll also have Elle, Mia, and Shauna from Peridot in Seattle. 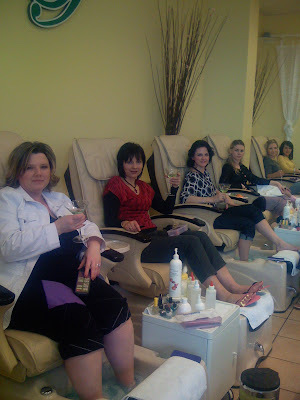 Look at Irina and her best-est friends….sipping their appletinis while their toes get pampered……:-) happy birthday, Irina! Looks like these ladies had a wonderful time…. Hello everyone…..I’ve so busy! The week up to the 4th was mad chaos. 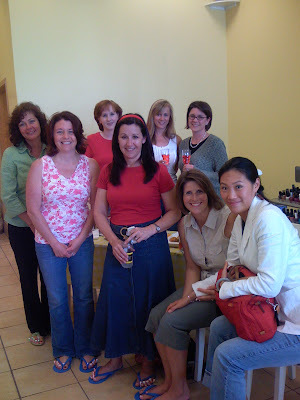 People were coming in from everywhere, wanting to do pedicures and manicures. I must say….”my sincere apology to all of those who I had to turned away due to all my appointments.” (Please do come back and give us another chance!) After the 4th, it was really slow so for 3 long days … I thought everyone was had forgotten all about PERIDOT! But….started on Wednesday……..we were full force and non-stop action until this very minute. At first I didn’t think anyone would read this blog, but within the last 2 weeks, I had so many clients came in because they’ve read the blog and got curious. So, thank you to all of you for your patronage and continous support. 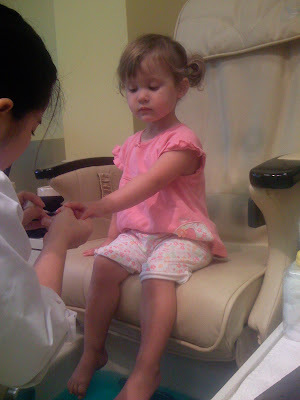 ….introducing my littlies Diva, Kate, enjoying her first manicure! Don’t forget we’ll be opened from 9:30 t0 6:00 on the 4th! Have a happy 4th!